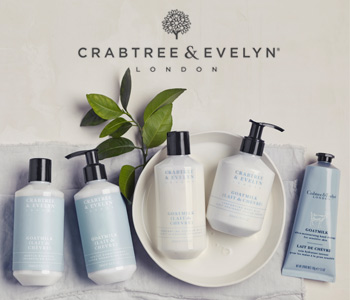 Care for your skin from top to toe with the Crabtree & Evelyn Goatmilk & Oat body care collection. Clinically and dermatologically tested, the Crabtree & Evelyn Goatmilk & Oat body care collection is formulated with gentle ingredients to soothe and hydrate sensitive skin. The calming and deeply moisturising Goatmilk & Oat formula uses free-range goat’s milk sourced from a family-run farm, for skin that is comforted and silky smooth all over.